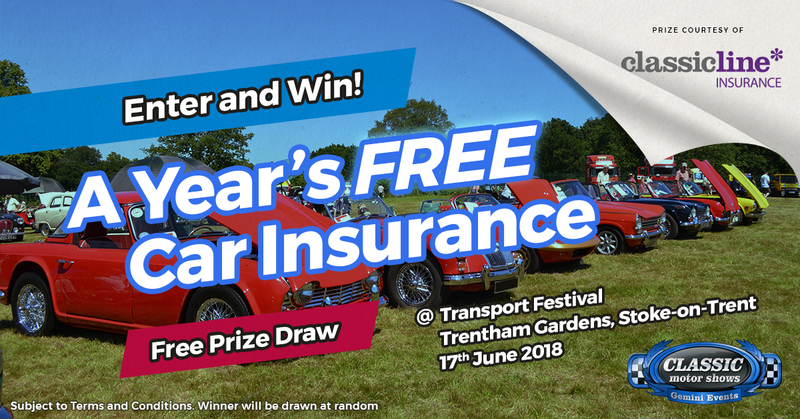 Visitors to The Father’s Classic Day Out, sponsored by ClassicLine Insurance, at Trentham Gardens in Staffordshire on Sunday 17th June have the chance to win a year’s free car insurance. The ClassicLine Insurance prize draw will be one of many highlights which will see up to 1,000 classic cars, motorcycles and commercial vehicles, plus other models, on display, together with autojumble stands. The Father’s Classic Day Out, organised by Gemini Events, and where over 50 car clubs will be represented, also includes a ‘Car Catwalk’ and an awards ceremony. The Father’s Classic Day Out is the perfect way to spend Father’s Day with classic cars galore on display in an idyllic setting.